If you’re still not sure what to get for Dad this Father’s Day, I’ve got a fun idea the whole family can get into! This Saturday, June 17, head over to the Vancouver-Cambie Best Buy store for a FREE workshop event from 1:00-6:00 pm where you can design and build your own customized, one-of-a-kind Father’s Day gift with the help of MakeLab’s laser printer. 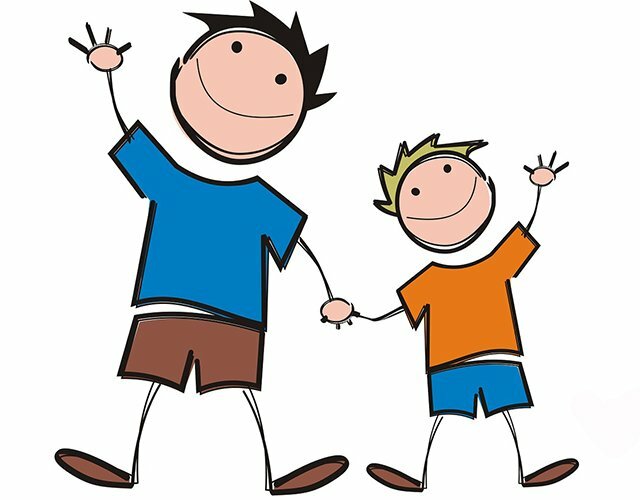 This is a great opportunity for fathers and their kids to create a fun and unique project together! 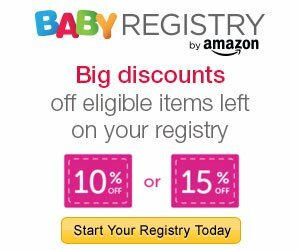 Hubby is all about the tech, and Best Buy is one of my favourite places to shop for him. 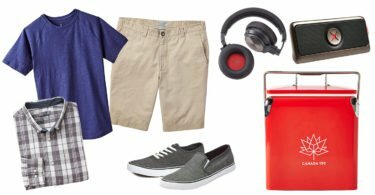 They’ve got some great last minute technology gifts for the dad who has everything, including some of the coolest gear from Google! 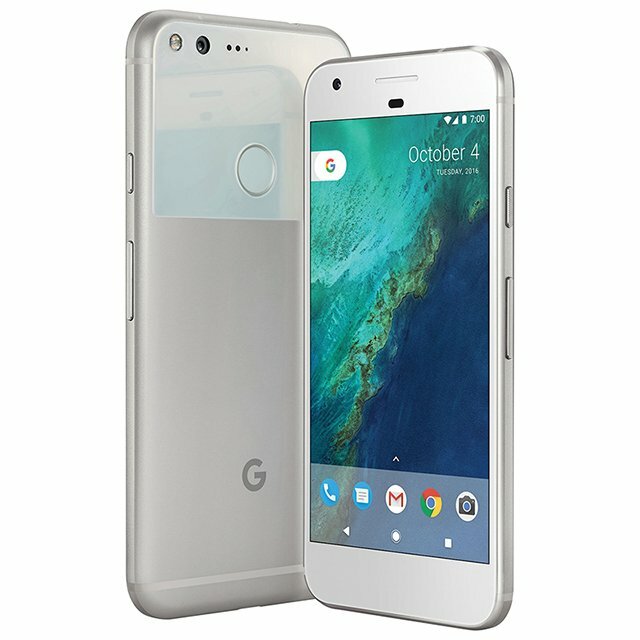 Pixel is Google’s newest phone. The Pixel XL boasts a crystal clear 5.5″ display, 128 MB, and an all-day battery life. Its Google Assistant will help Dad get stuff done, while Android 7.0 Nougat and a quad-core processor ensure a smooth ride. The 12.3MP rear camera with f/2.0 aperture captures crisp images day or night and records lifelike 4K video at 30fps, while the 8MP front camera records 1080p video. Powered by the Google Chrome operating system, a sleek and lightweight ChromeBook integrates and runs all Dad’s favourite Google apps at blazingly fast speeds. Dual WiFi makes it even easier to connect to wireless networks, so he can stream, download, send, and share with less interruption. And because everything in the Chromebook is web-based, it’s as easy to use and simple to set up as it is fast. The entertainment options are endless with a Google Chromecast. This little device plugs into your TV’s HDMI port to open up a world of entertainment — all controlled through Dad’s mobile device. Dad can stream his favourite TV shows, movies, music, or games from his apps, and still text or call without interrupting what’s playing. 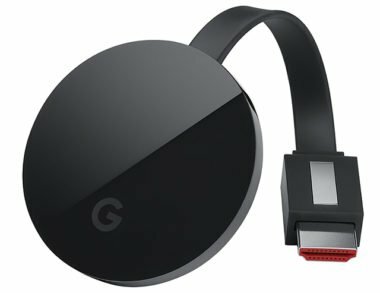 The new Chromecast Ultra streams up to 4K Ultra HD & HDR. Surprise Dad with a Google Chromecast this year! Enter in the giveaway widget below. 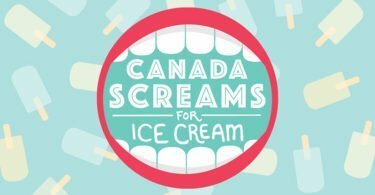 This giveaway is open to residents of Canada 18+, excluding Quebec. All the winner’s entries will be verified. Would love to gift him a new Chromebook, my Dad is still running on an old very slow desktop which he finds so frustrating and I think it is because of the slow speed. Plus the laptop he could use all over the house and not just in the basement. I would love to get hubby a smart watch like this one http://www.bestbuy.ca/en-ca/product/asus-asus-zenwatch-2-1-63-smartwatch-gun-metal-wi501q-gm-grq-bb/10423123.aspx? 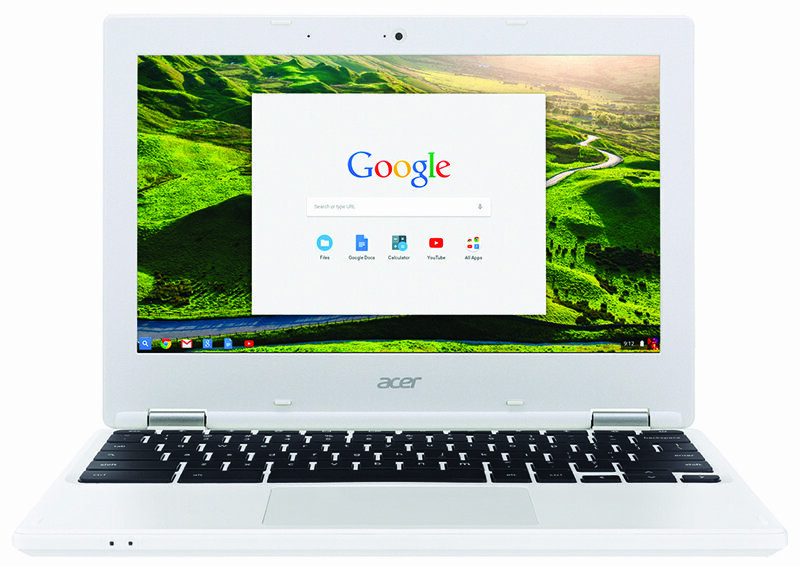 My husband has been talking about the Chromebook for ages, I would like to get him one. I know that my hubby would like the Chromebook. Maybe some day! The google home sounds like it would be awesome for my hubby, he’s always asking for things and this would be able to help him out instead of me going on and searching the net! I would LOVE to gift my hubby a new Chromebook. He currently has an old out of date laptop that needs to be replaced. My dad needs a new laptop so I’d love to get him the Chromebook. I would love to be able to give my husband, a great dad, a new Chromebook, I think he would love that! My Dad would love the Google Chromebook http://www.bestbuy.ca/en-CA/google-store/chromebook.aspx?icmp=googlestore_homepage_navigationtile_chromebook_icon&fromBrandStore=google I have one and I love it. It is the best laptop I have ever had. Thanks for the awesome giveaway opportunity. I would love to get my dad the Fitbit Alta HR Fitness Tracker with Heart Rate Monitor as he walks a lot and it would be great to see just how far he walks each day. Daydream View looks pretty fantastic. My husband would really enjoy it. one of those android watches would be amazing to own … oh ya, for him of course! I think a google home would be fun for our family – the kids could ask it endless questions to give dad a break! My father could use the Fitbit tracker! I know my dad would love to have Google Home. I’d love to gift the Chromebook to my hubby. I’d love to gift an Android Wear Watch to my dad. My husband would love to have a Chromebook. a chromebook would be awesome! A chromebook would be awesome. We definitely want to try Google home so I would preorder that and get the free Chromecast! Great deal! I think the Google Chromebook would be a great gift. 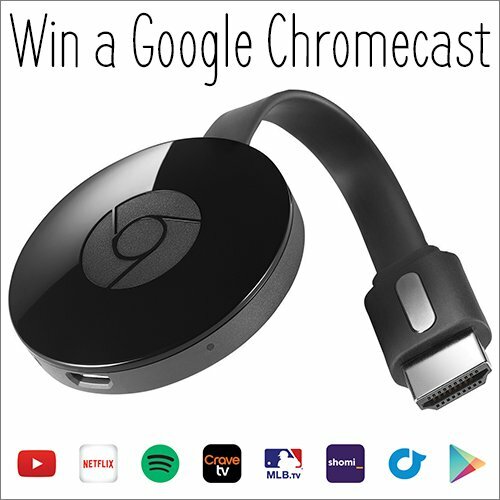 I would get my father a Chromecast Ultra since he loves watching television. My hubby would definitely be happy if I presented him with a Chromebook. I’d love to get my husband a Chromebook so that he isn’t having to fight to get his hands of a computer all the time. I would get my husband the Chromebook. He could really use this. my hubby would like the Chromebook. My brother and I lost our father quite early, so I’d rather gift something to my brother. It would be perfect to give him a Chromebook, since he need a new laptop, but since it’s pricey I’d probably go for the Google Wifi. He loves tech, and this would be great for him. I’d like to get dad one of the nice Pixel phones. I’d like to gift him the Fossil Q Marshal Gen 2 Men’s 45mm Stainless Steel Smartwatch with Brown Leather Band. It’s very cool looking. Probably a chromebook or pixel phone. I think my dad would love the Google Wifi! The Google Wifi would make a great gift for my husband as we have a few dead spots in our home including our bedroom. I’d love to gift my husband a big tv. There are a lot of interesting and innovative products at the Google Store, but Google Home would be something my Dad would love and adore; plus it would make his life easier (he has a few mobility issues). I’d love to get my husband a Google Chromebook. I would love to get my boyfriend the Beats headset because they would be amazing for travel and deliver such a crisp sound. I’d love to get my husband a new Chromebook! I would love to update his old phone with the new Google Pixel. Chromecast sounds awesome! The Google Wifi AC1200 Whole Home Mesh Wi-Fi System would make a great gift for Father’s Day. I would love to give him an Android Wear watch. He would especially like the Michael Kors Access Dylan Smartwatch.